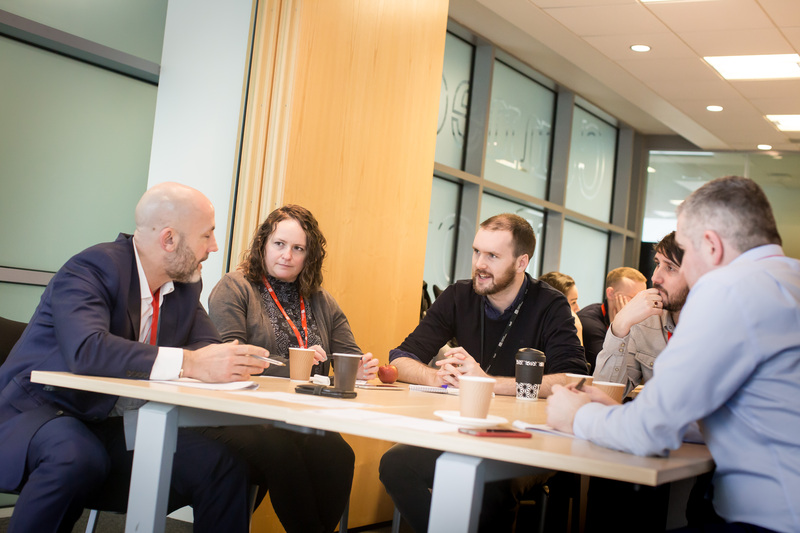 GC Business Growth Hub, in collaboration with STAR (Shared Procurement Service for Stockport, Trafford and Rochdale Councils), is launching a fully-funded* support package for SME suppliers in Greater Manchester. This series of specialist masterclasses will help STAR’s existing and potential suppliers to identify and implement opportunities to maximise efficiency and improve environmental credentials. These are increasingly becoming an important requirement in public sector procurement that support Social Value objectives, and often a critical factor in winning or losing tender opportunities. Delegates who complete the workshop series will receive a certificate which can be used in future tender applications to help demonstrate their commitment to delivering Social Value. The belief amongst many SMEs is that they simply don’t have a chance of winning public sector contracts when competing against the bigger market competitors. While they may not have the financial firepower of larger businesses, however, the ability to demonstrate good environmental credentials and Social Value outcomes can have a huge impact on differentiating their bids and increasing their chance of tender success. This workshop series has been carefully designed in collaboration with STAR Procurement to enable SMEs to demonstrate the actions they have taken to reduce their environmental impact and support ongoing Social Value objectives. Each workshop is designed to address key barriers SMEs face, by providing guidance and support on actions, many of which are of little or no cost. This workshop will help you to identify and understand your environmental impacts and performance, with a view to creating and implementing an environmental policy statement and managing ongoing improvements. Government research indicates that SMEs could save around 25% on their energy bills – just from simple 'low or no cost' measures. This workshop will provide quick, 'no and low cost' energy saving measures which will cut energy use in your operations. It will help you to optimise your energy usage, get ahead of the competition, and build resilience against rising energy prices. Support will also be provided by our expert advisors to help your business build its own tailored action plan and business case for action. Understand how to overcome challenges in implementing energy saving measures. This workshop will help you to identify opportunities to optimise resources and materials used on-site and capture the additional benefits from good waste management practices. These include: reduced purchase and disposal costs, increased environmental performance through reduced carbon emissions from waste disposal and business operations, increased business reputation within the local community and help to reduce business risks through legislative compliance. Transport and fleet operations are often a necessary and expected cost to a business and, with unpredictable fuel prices, the ability to manage and reduce these costs can be daunting. This workshop will give you practical advice to implement easy to apply sustainable transport options to a small business. It will give you knowledge of different methods for reducing your transport operating costs, including top tips and best practice for reducing the carbon footprint associated with your transport. You will be able to evaluate your existing costs and identify suitable options to improve performance. To register your interest in the programme, please complete the form below. *To be eligible to attend the workshops, your business must be an SME based in Greater Manchester and trade business to business (B2B). Company Postcode Our support is tailored to Greater Manchester businesses. So we can direct your enquiry, please enter your company postcode.